dude this is crazy!! 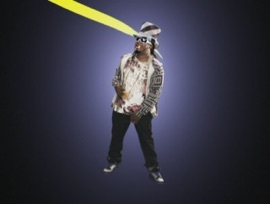 i love it and T-Pain is always so creative! the song is great and the dancing and graphics are so cool i could never think of that! its crazy! another synthesized singer voice trying to capitalize on the industry. So original. I wish sarcasticness translated over typing. DiSs SonG Is De BeSt!!! ChrIs n PaIN DiD a ReAl GoOd Job!! !StiLl Dee BesT!! !